Piece by piece I have made me a simplex repeater box, for my preps. But I did not like that the box would hold the heat in it, even being metallic. Since the Bao would be powered by an external source, there is room to attach a heatsink. It was a fuss, that was corrected twice and required adding more than 12 new surfaces on the heatsink. By File. This is the beast. All it needs, now is a piece of dense foam to press the heatsink on the box's back. I would think you might leave the good looking heat sink in the open as it can do little good without air circulating past yje heat exchange elements. I have done this before and with more costly radios as a remote base so as to take advantage of a 600 foot tower space offered me and the unit has a 40 mile or so coverage area with ONE WATT RF out and is totally reliable,though not 'full scale' on the RF meter. 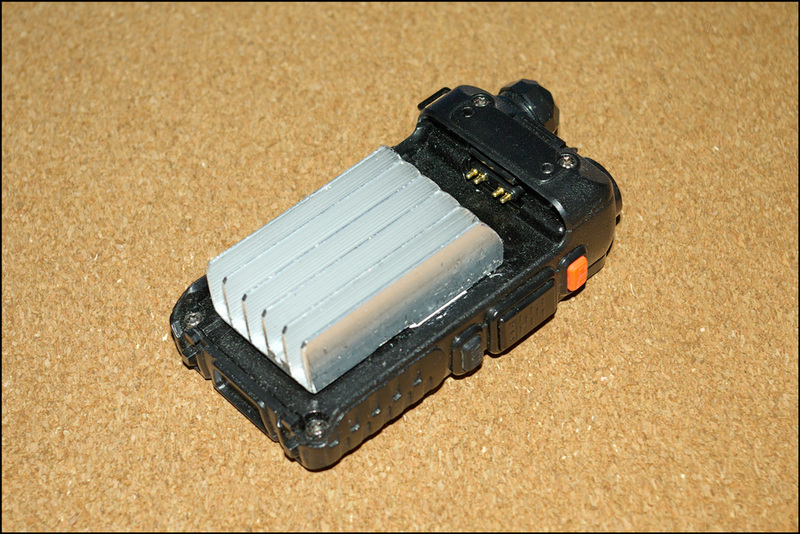 A Christmas Card module provides a good IDENTIFICATION to keep the tiny (30 Caliber ammo box) repeater legal and functioning ...NEW batteries were needed after 6 years and I used "D" cell 8,000 NiMH cells. thing is that one cannot leave open a box which is hoisted/mounted on a tree. This is the anticipated use of. So I am going with the second best option of heatsink->metal. I used a metal ammo can and it is still in use as holder.WX proof,and fair heat transfer...your setup should work out OK too though. How do you put power to it though? it is on the fourth pic of the article linked. Simple. 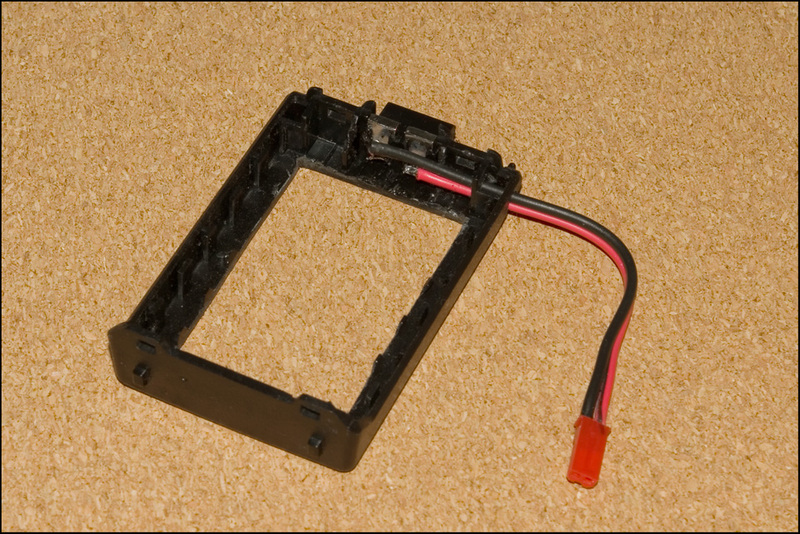 I took an AAA battery carrier, removed battery contacts but the end ones, made a hole for the heatsink and then soldered wires on the end contacts. Cost a few bucks and while there is a way to maintain AAA usage on the adapter, i did not care to try it. Carl. you are correct on a heatsink needing air circulation. after all every such heatsink comes with screw sockets for a fan.